Original & Mineral Hydrate & Conquer Conditioner, 11.8 oz. Original & MineralHydrate & Conquer Conditioner, 11.8 oz. What it is: Hydrating conditioner  colour safe. Best for: Adding moisture to dry, thick, damaged, chemically treated or coloured hair. This hydrating hero with Organic Coconut Oil helps to quench and smooth thirsty locks. How to use: After shampooing, remove excess water and apply Hydrate & Conquer Conditioner. Massage into the scalp and ends, comb through, rinse and style. 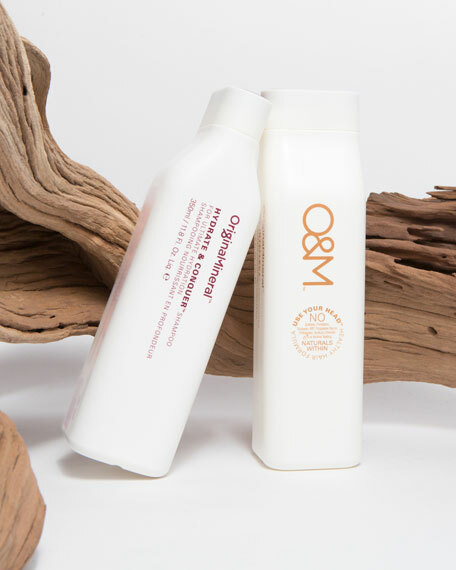 O&M Signature Oil Blend  A natural blend of organic coconut and organic macadamia oils that help to recondition the hair to protect it and leave it glossy and knot free. Quandong  Naturally derived Australian desert plant extract high in vitamin C, proteins and essential fatty acids. Keeps the hair healthy and nourished. Dessert Lime  A natural antioxidant that helps fight free radicals and prevent premature aging. Tasmanian Sea Kelp  A plant based extract that is packed with vitamins and amino acids to help repair the hair. 350 mL/ 11.8 fl. oz. For in-store inquiries, use sku #2282216.